We all have a creative expression bursting to get out. 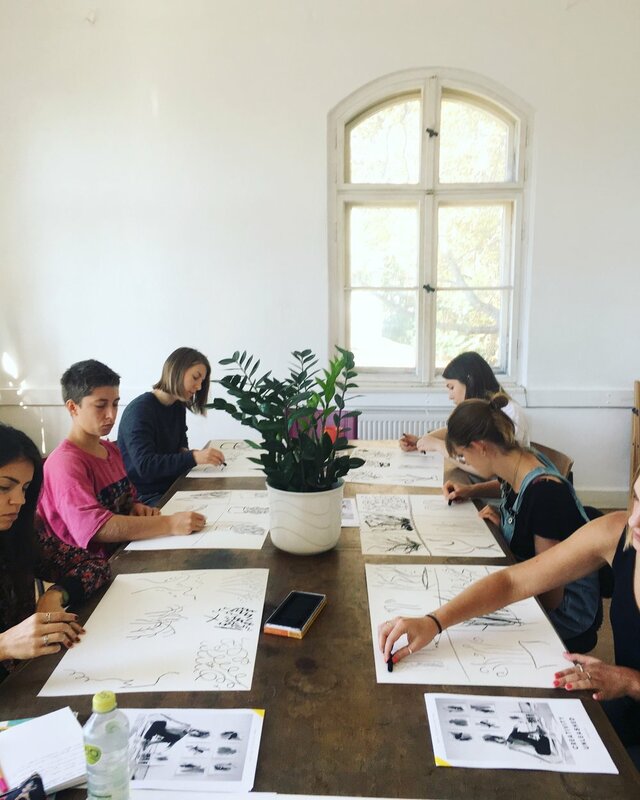 This is a workshop that gives space to hidden creative expression and lets you discover through creative techniques how you can implement these in your daily life. 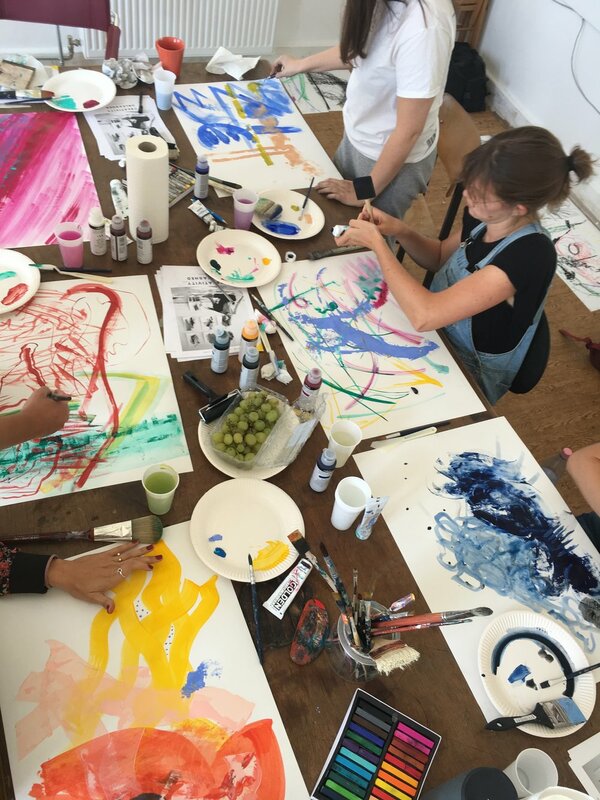 The workshop offers a deeply nourishing, soulful jump-start to any creative habit by inviting a whole new way of painting (and being) from a space of freedom, non-judgment and experimentation. The focus is on loosening up, tuning into intuition, releasing expectations, and welcoming joyful authentic expression back into your creative process and your daily life. Throughout the workshop, I demonstrate many of my personal painting techniques, while creating a large original painting from start to finish. The process is broken down into easy, bite-sized lessons that explore color theory, translucent layering, value contrast, expressive mark-making, dripping, stamping, and drawing. I also offer invaluable prompts and exercises to support letting go, connecting to intuition, taming your “inner critic,” becoming unstuck and discovering your own authentic style. I typically approach each my work with no plan, with no preconceived idea of how it will turn out, and follow what feels good in the moment. By getting comfortable with our tools on the paper and act from intuition, we get to be playful, get into our flow and above all, be ourselves in the moment. Trusting that if we follow the threat of intuition, we will pleasantly surprised and get a result beyond what we could’ve imagined. Catering to first-time painters looking for an empowering jump start on their creative path, or creatives seeking a new perspective, and all levels in-between, this heart-centered and educational workshop offers a vast toolbox of new techniques, along with a fresh creative perspective guaranteed to energize your life on and off the canvas. Beware! Participation in this workshop guarantees change and creativity in your daily life.